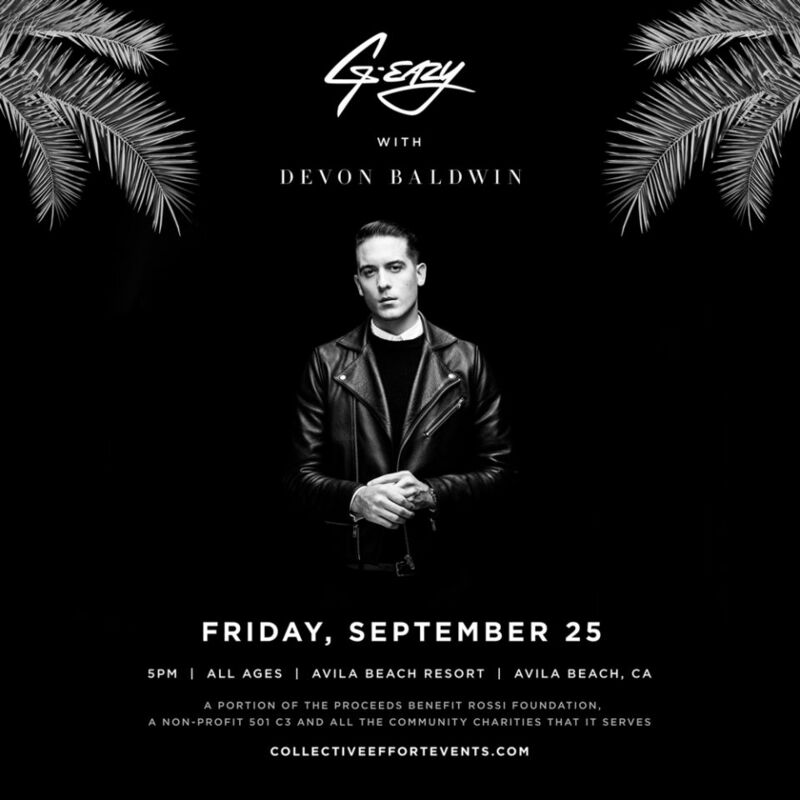 G Eazy with Devon Baldwin - Otter Productions Inc. | Otter Productions Inc. G Eazy with Devon Baldwin - Otter Productions Inc.
★ CONCERT ANNOUNCEMENT ★ We’re proud to present our biggest live show of the year on Friday, September 25 at the Avila Beach Resort featuring American rapper, songwriter and producer, G-Eazy with special guest Devon Baldwin! *WARNING* This concert will sell out extremely fast! Get your tickets ASAP starting tomorrow morning at 10am! See ticket info below.